Search engine optimization (SEO) helps consumers find your website by moving it up in Google's ranking of website pages. But creating optimized content isn’t always easy. If all your readers find in your website content is buzzwords and fluff, they’re likely to lose faith in the integrity of your company. 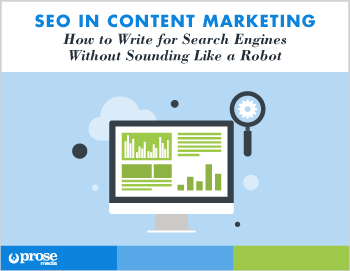 The secret of effective SEO is to optimize your content without anyone noticing. Ready to write for readers, not robots? © 2016 Prose Media. All rights reserved.